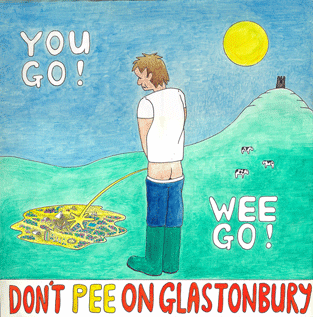 This year’s Glastonbury website poet in residence is the wonderful Dominic Berry. Dominic is an internationally renowned, award-winning performance poet who has taken his verse across USA, Canada, India, New Zealand, Australia and Europe. 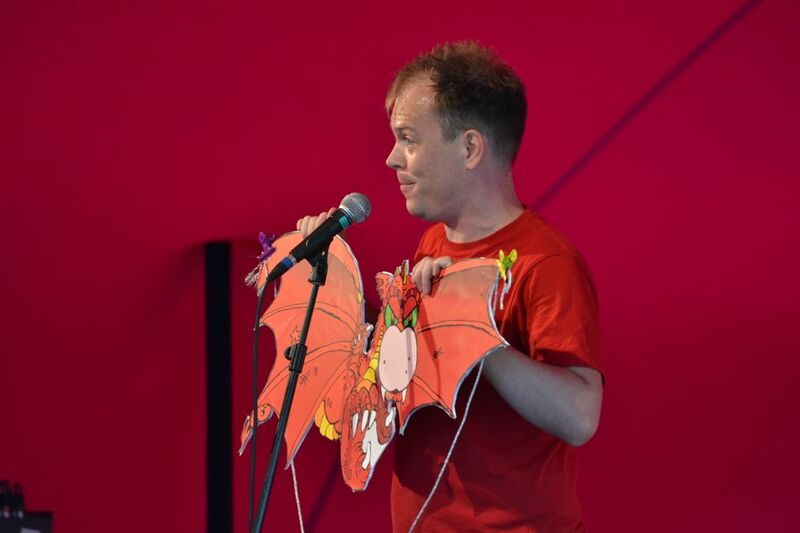 He is currently touring two shows: his adult verse ‘No Tigers’, and a family retelling of ‘The Boy Who Cried Wolf’, in collaboration with Big Imaginations, Action Transport Theatre and Arts Council England. Recently named as Saboteurs Best Spoken Word Artist of 2017, Dominic’s other accolades include winning New York’s Nuyorican Poetry Cafe Slam, UK Superheroes of Slam and, as of 2017, seven Arts Council England Grants for the Arts awards. For more info, check out dominicberry.net. keeping the poor in their place. trophies on some political safari. how can our cubs even attempt to remove their targets? You’re like spinach, but tastier. You make my heart beat racier. Through winter, you grow ceaselessly. found freshness for our stale youths. Don’t need cow milk for calcium. Before you, I ate junk food. It gave my arteries grief. With you, I’ve left all that behind. Turned over a new…. leaf. You make my bowels go brilliantly. I’ll never be a frail moose. I’m very highly ratin’ ya. so let’s start germinatin’ ya! Sour sorrows curdle loss in lands of milk and honey. while we are free, so far from them, we’re somewhere safe and sunny. A joke from Jo has cracked us up. The air is cracked by Jo’s loud laugh. Jo’s always been a boomer. A thunderous voice. Jo’s lightening quick. The sickest sense of humour. In time, our punchlines turn to talk of drugs, mistrust and rumour. infect us like a tumour. and then they’re labelled lazy, so we’ll feel no culpability. The rich are getting richer, fund their own upward mobility. It’s claimed the sick will drain our nations ‘strength’, our state’s ‘stability’. Beneath this heat, we read these words, and shiver at their chillness. The sounds of blame and labelled names have sickened with their shrillness. Where there were jokes, the mood is broken. Laughter turns to stillness. Who thinks we are so privileged, we’d never know such illness? We know when Jo was ill. The father’s fist that cracked Jo’s bone. Jo never chose to sleep on streets. a child they called a liar. They left Jo without a home. for public funded services put Jo beneath a ceiling. the worth of aid should not be weighed by what the state’s receiving. beneath the rich who claim their second homes on their expenses. We’ll fight to save the NHS. United, we’ll attack. We’ll show the sick are not to blame for all the things they lack. We can fight to bring it back. I’m sure she was singing about Glastonbury mud. My blood on their fists. You do not know my names. Our demonic dancing woke the stars. ‘cos the sun thinks we are fit. Celebrate our sublime, sweaty skin. Don’t think that you’re the only one. This sun is flirting with us all. It’s not that you’re not special. share juice and beer. Your laughter mends. my sorrow somewhere far from me. whose words are wet with wit and glee. Keisha shares water with Kaz. like children recite times tables. their friendship is deeper than time. They’ve found exactly where they’ll stand. could be bottled and shared. at the mosh pit stop.